View of “Frank Stella: A Retrospective,” 2015–16. From left: The Grand Armada (IRS-6, 1X), 1989; K.81 combo (K.37 and K.43) large size, 2009; Damascus Gate (Stretch Variation III), 1970. Photo: Chandra Glick. © Frank Stella/Artist Rights Society (ARS), New York. 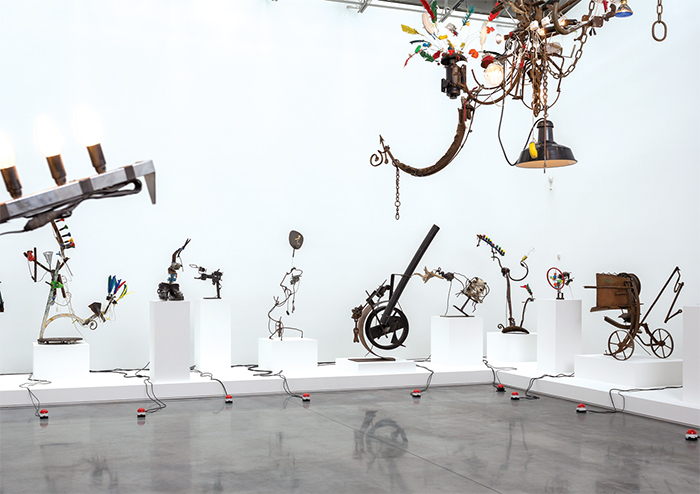 View of “Jean Tinguely,” 2015. Photo: David Regan. 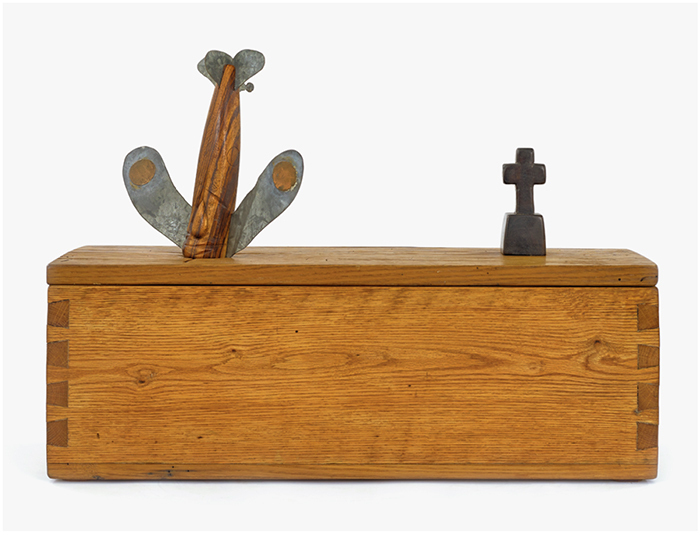 H. C. Westermann, Untitled (Walnut Death Ship in a Chestnut Box), 1974, chestnut, walnut, zebrawood, galvanized sheet metal, copper, ebony, 17 7/8 × 24 7/8 × 8 1/2". Lined three deep on a massive table, the H. C. Westermann sculptures in this exhibition were stunning in their craftsmanship, blistering in their satire, and sometimes, as in the case of Walnut Box, 1964a walnut box filled with walnutsjust plain funny. 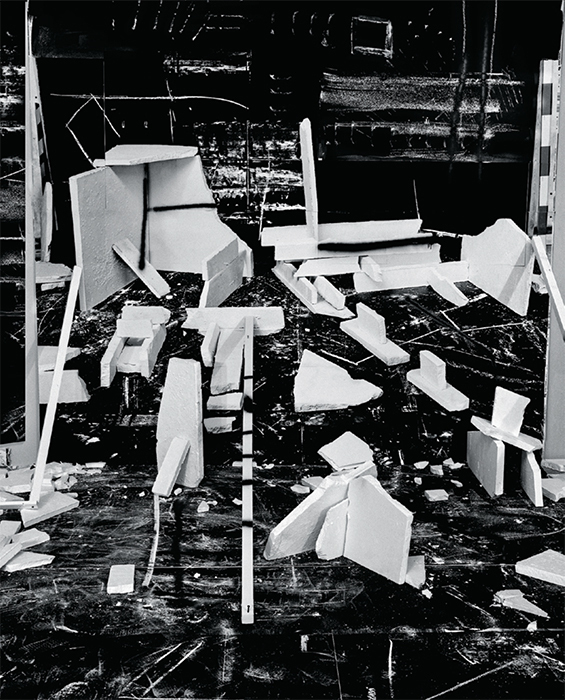 These small-scale constructions, some of the best that Westermann made, were accompanied here by forty-seven prints and drawings, two paintings, and eleven life-size assemblages. 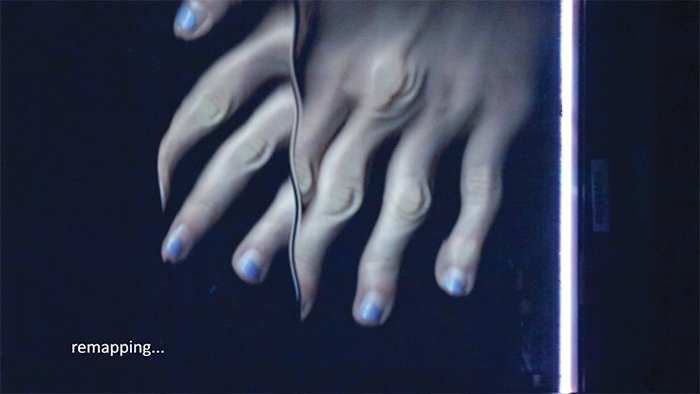 Andrea Crespo, virocrypsis, 2015, digital video, color, sound, 16 minutes 5 seconds. 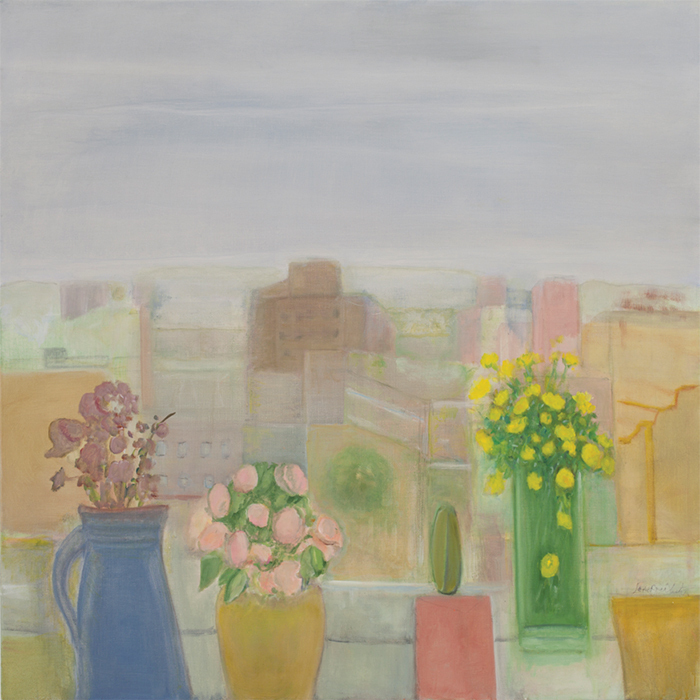 Jane Freilicher, Window, 2011, oil on linen, 32 × 32". Katy Grannan, Inessa Waits Near South 9th Street, Modesto, CA, 2012, ink-jet print, 46 1/8 × 61 1/4". 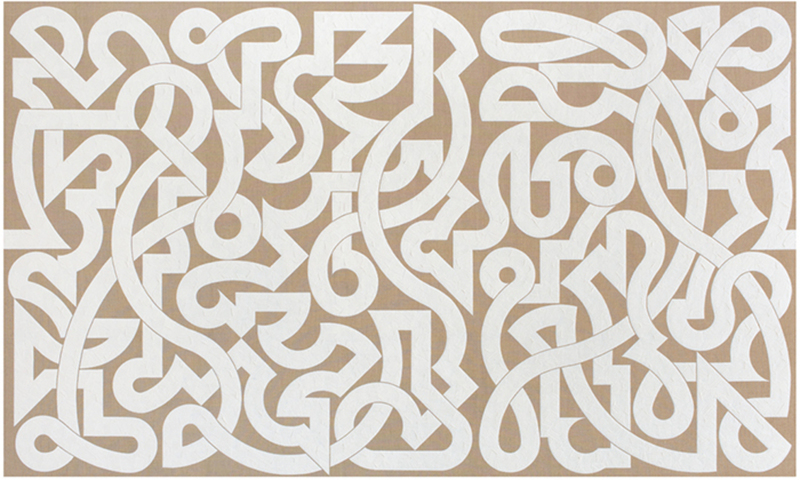 Valerie Jaudon, Barcarolle, 2014, oil on linen, 54 × 90". 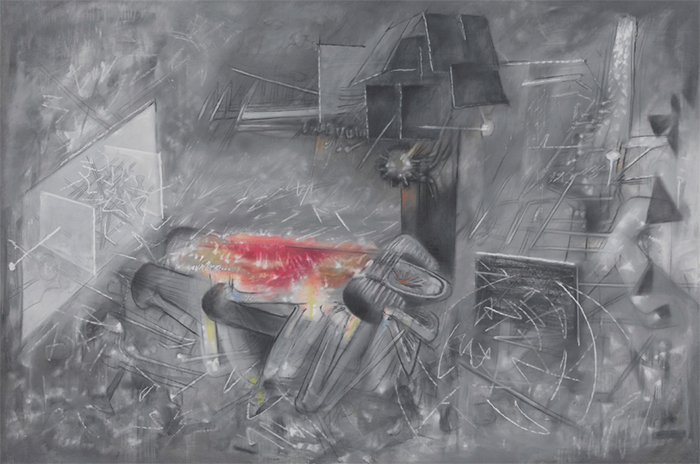 Roberto Matta, La Question, 1957, oil on canvas, 78 3/4 × 116". 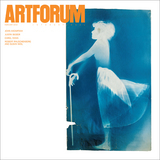 © Artist Rights Society (ARS), New York/ADAGP, Paris. Sadamasa Motonaga, Two in Order, 1985, oil on canvas, 23 7/8 × 19 3/4". One of the coolest pieces of ephemera in the catalogue accompanying this exhibition of Sadamasa Motonaga’s later work is the artist’s “My Abstract Manga Manifesto,” a sequence of four line drawings published in a 1963 edition of Bijutsu techō, a Japanese art journal. Consisting of wordless, biomorphic shapes, the illustrations lay out the knowingly “low” and faintly obscene mode of abstract painting that would become central to the artist’s practice until his death in 2011. 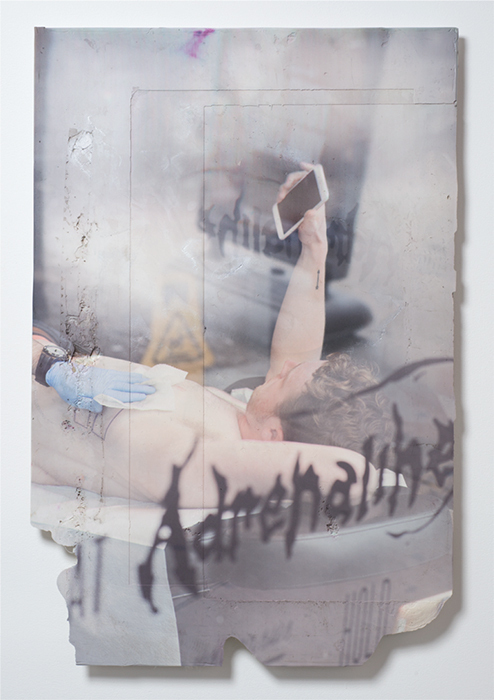 Josh Tonsfeldt, Adrenaline Tattoo, 2015, UV-cured pigment print on Hydrocal, spray paint, epoxy resin, ink, 32 × 48". 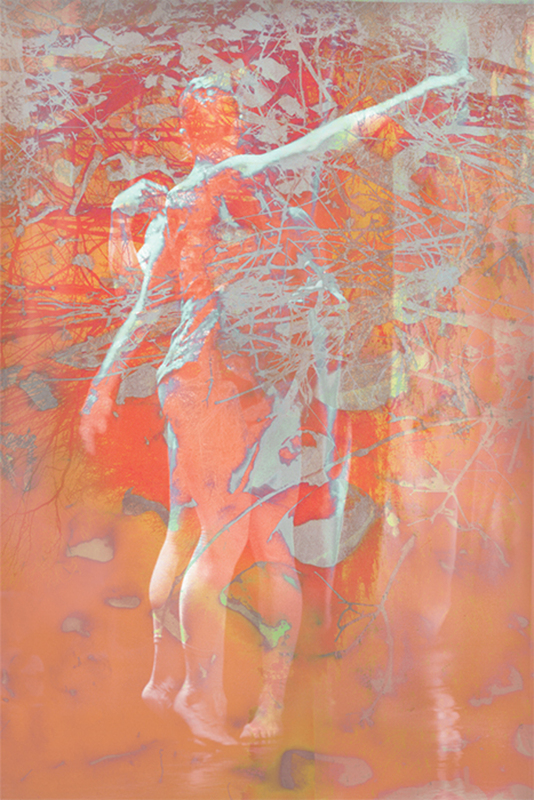 View of “Jason Simon,” 2015. On floor: 2LGA5, 2015. On wall, from left: Production, 2015; Nobodys Road, 2015. Photo: Chris Austin. 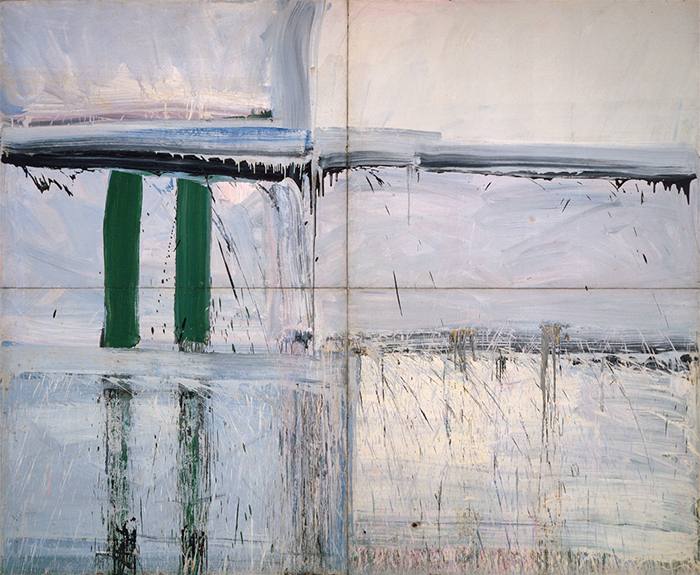 Alfred Leslie, Four Panel Green—Big Green, 1956–57, oil on canvas, 12' × 13' 10".